The Gmail Android App has got an update, and the update brings different changes to the different Android versions, and the best updated features are in the Android 4.1 Jelly Bean devices, where the user can now send replies, or archive the mail directly from the notification panel. In the earlier updates, there were changes in the way how one would reply / archive the mail directly from within the app but now the notification panel gives the same options and get the job done in an easier way. 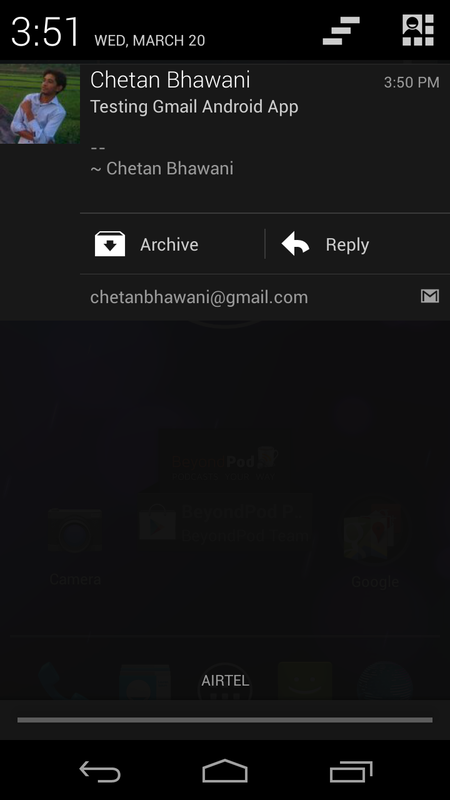 Android 4.1 Jelly Bean and up: Reply, archive or delete the mail from the notifications. There is no need to open the app to do that. Android 4.0 Ice Cream Sandwich and up: Faster searching, and search mails even when you are offline, and bug fixes + performance improvements. 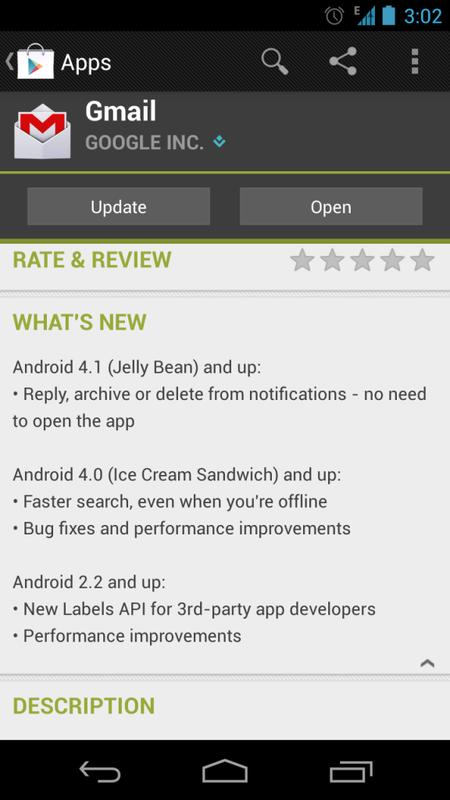 Android 2.2 Froyo and up: New Labels API for the 3rd party app developers, and various performance improvements. Google has made a few changes to the interface too, like the title text of the mails have got a better and different looking font which makes the text more clear to read, and the performance of the app has now increased after the update. The update was sent with these above changes, but the Gmail app for Android is already packed with a few excellent features such as the notifications for specific labels, access and setup of multiple Gmail accounts through a single app, and attachment viewing and saving with large previews of image attachments in the mail. In the dropdown list on top right, or by touching the Menu button, open the “My Apps” section and check for the updates. Make sure the Internet connection is active, and you would see the Gmail update available. Click on Update and it would happen in a couple minutes and install by itself.